Arséne Wenger provided the latest update on his star playmaker’s future at the Emirates. 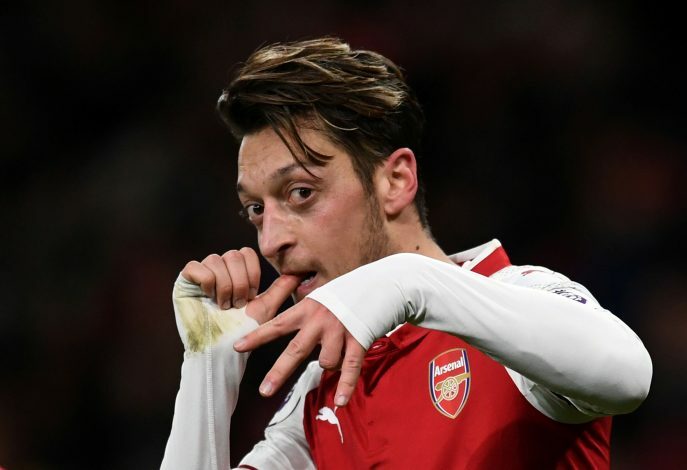 It’s no secret that Mesut Özil has shown a rather dodgy attitude towards extending his stay in North London, and the kind of attention that he has been received with recently has been just because of that. However, despite strong interest from the Red Devils, there has been only speculated links regarding his move to Old Trafford, which have also burned down to mere smoke now. And it’s no coincidence, as the Gunners boss has revealed that he is determined to keep his former record signing in London, and insisted there would not be a January exit for the German during a press conference held on Thursday morning. And that should exactly be the resolve the Londoners must be showing after some rather brilliant displays the German international has put on during some big games. The former Schalke man has easily been one of the, if not the best player for the Emirates outfit so far this season, with some of his best performances coming against the likes of Chelsea and Liverpool.